People should pay more attention then they normally do on garbanzo beans or chickpeas. Garbanzo beans are usually used as tossed onto a salad but most of us don’t have idea that chick peas are used in many different ways so that we can get maximum nutrition benefits of it. A low-fat boost of nutrition of chickpeas helps in losing weight in a healthy manner unexpectedly as chickpeas are a good source of fiber. 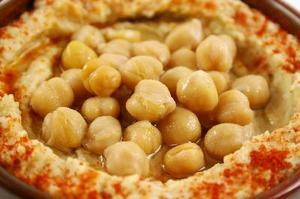 Garbanzo beans are regarded as effective weight loss food. It provides protein, complex carbohydrates, iron, and calcium for building strong bone and phosphorus and potassium to keep your nerves and muscles active and functioning. It also provides folate that is responsible for creation of red blood cells.